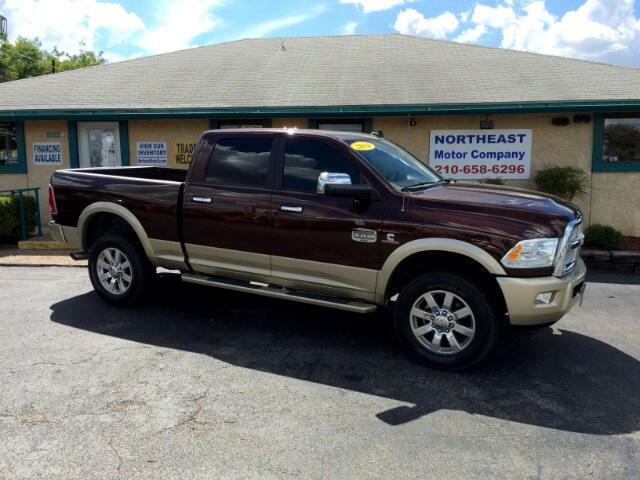 2014 Dodge Ram 2500 Crew Cab Laramie Longhorn 4x4 LOADED!!! This gorgeous 2014 Ram 2500 Laramie Longhorn Crew Cab is loaded to the hilt with Premium Leather Interior, Navigation, Backup Camera, Four Wheel Drive, Bluetooth, Sunroof, Alpine High End Audio, U Connect Entertainment, 3G Capability, Heated and Ventilated Front Seats with Rear Heat, Auxiliary Audio Input with USB Interface, Push Button Starting, Keyless Entry, Remote Start, Body Colored Running Boards, Bedliner, Aluminum Alloy Wheels, Sonar Parking Assist, Heated Steering Wheel, Steering Wheel Mounted Audio Controls, Power Adjustable Pedals, Towing Package with Integrated Trailer Brake, Power Adjustable Front Seats with Memory Seat Position Recall, Power Sliding Rear Vent Window, Satellite Radio, and so much MORE!!! Call or come out today to inquire about our easy financing options and many available extended warranties.